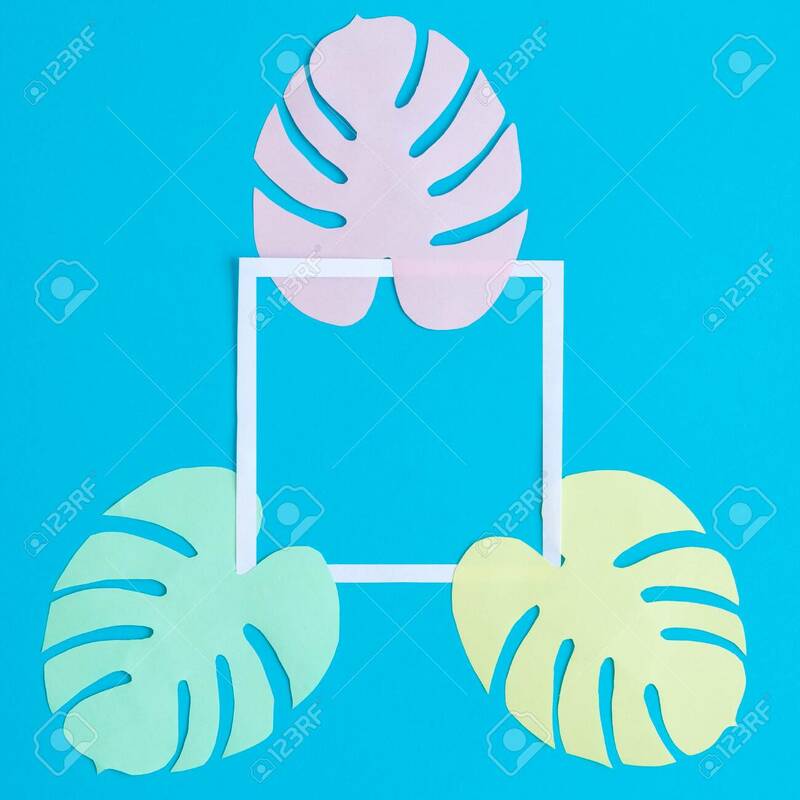 Colorful Monstera Leaves And White Frame Made Of Paper Isolated On Pastel Blue Background Minimal Creative Summer Concept. Space For Copy. Fotos, Retratos, Imágenes Y Fotografía De Archivo Libres De Derecho. Image 118588669. Foto de archivo - Colorful monstera leaves and white frame made of paper isolated on pastel blue background minimal creative summer concept. Space for copy. Colorful monstera leaves and white frame made of paper isolated on pastel blue background minimal creative summer concept. Space for copy.